During the last weeks we’ve been discussing structuring options for cross-border businesses. First we reviewed some of the key aspects to consider when incorporating offshore or onshore and how one could leverage the best of both worlds with the right group structure. 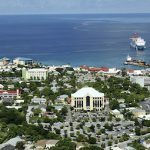 We followed up with a review of the most prominent business and financial centers in Asia and then we took a look at some of the most well-known international incorporation jurisdictions in the Caribbean, Central and North America. Today, we conclude the ‘Where to set up an International Business’ article series by reviewing some of the most interesting jurisdictions in Europe to establish a business or to set up an entity for certain purposes. Europe, and specifically the EU, undoubtedly has a lot of advantages. To begin with – the EU is a single market of 500 million people with the free movement of capital, goods, services and labour – from which a multinational business can definitely leverage. Also, European companies are some of the most reputable legal vehicles – this may have tremendous advantage for B2B or B2G businesses and, it opens a myriad of banking and other financial services options. Speaking of financial services options – there are also a broad range of merchant processing services and new fintech services that European entities can directly benefit from. However, it is fair to say that many EU jurisdictions have high tax rates and corporate compliance burdens which can have a significant impact to the bottom line of a business. That being said, companies incorporated in certain jurisdictions and certain business activities benefit from more favorable tax regimes as we shall see below. These businesses can benefit from all the advantages that the EU can provide. The following piece does not intend to provide a comprehensive review of all the potential legal vehicles for international business available in Europe or provide a detailed report of each jurisdiction covered. It is just an overview of some of the most well-known business centers. Nothing in this article constitutes legal or tax advice of any kind and is provided “as-is” for informational purposes only, without any warranty or guarantee for fitness. These laws change frequently and professional advice is absolutely necessary. Switzerland has been throughout recent history, the most economically, politically and financially stable jurisdiction in Europe and a safe haven for the wealthy to keep their assets. Switzerland’s most common entity for foreign investors is the corporation – Aktiengesellschaft ‘AG’. At the time of incorporation, shareholders must contribute at least CHF 100,000 of share capital from which at least CHF 50,000 must be fully paid up. The board must have at least 1 Swiss resident director and if more than two directors, the majority of board members should be Swiss residents. Swiss corporations are subject to both federal, communal and cantonal income taxes. However, some cantons – such as Zug – have extremely competitive taxation. The Federal effective tax rate is 7.83%. Each canton has its own tax legislation and levies cantonal and communal income and capital taxes at different rates. The combined effective tax rate is between 11.5% and 24.2%, depending on the corporate place of residence in Switzerland. As mentioned, many foreign businesses domicile their corporations in the Canton of Zug which has some of the lowest taxes in the country. Zug also hosts a number of Fintech and Blockchain Companies attracted by the regulatory-friendly approach adopted by Swiss authorities. Some Blockchain projects have established in Switzerland in the form of Swiss Foundations (Stiftung). 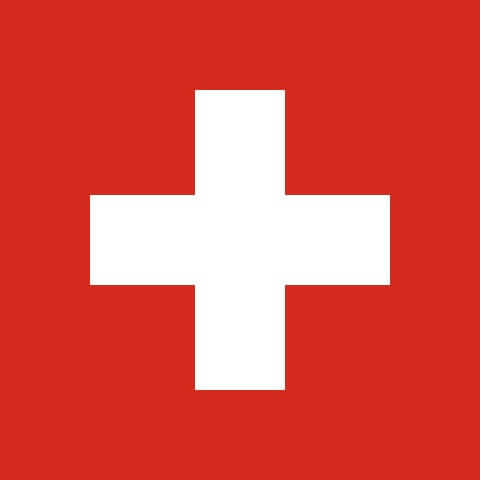 Switzerland is also one of the preferred jurisdictions for multinational corporations and global SMEs to set up their European headquarters due to its tier-1 infrastructure, a comprehensive capital market and strong financial system, a business-friendly and reliable regulatory environment and a high-skilled and productive workforce. Although Switzerland is not a member of the EU nor the EEA, trading companies domiciled in Switzerland have access to the 500 million people EU market via an EU-Swiss free-trade agreement which provides duty-free trade and free movement of capital and labor. Swiss companies also have access to one of the largest financial centers in the world. Swiss banks are widely recognized for their high quality and financial soundness. In addition, Swiss companies do not generally face any difficulty to access foreign financial services in institutions that target international clients. Liechtenstein has a considerably large wealth management industry oriented to asset protection and wealth management with its foundations (Stiftung), private asset management structures and strong private banking services. As in Switzerland, Liechtenstein’s most common commercial entity is the corporation (AG). Corporations are subject to 12.5% tax on their profits, including capital gains and at least 1 board member should be a resident of Liechtenstein. However, dividends received may be tax-exempt and there are no withholding taxes on dividends paid to non-residents. This has made the Liechtenstein AG a common set up for European Holding companies. Certain holding companies are set up as Private Asset Structures which benefit from tax exemptions and are only subject to a minimum tax of CHF 1,800 per annum. Private Asset Structures are in the business of acquiring, holding, administrating, and selling financial instruments. Shareholders or beneficiaries of the Private Asset Structure should not have any influence on the administration of the underlying assets. Some Private Asset Structures are set up as a Stiftung (Foundations) for estate and tax planning and asset protection purposes. The Principality has also embraced the blockchain space as a number of ICOs, STOs, Crypto Funds, and Exchanges are setting up there. We discussed in previous letters why you should consider Liechtenstein if you are planning to set up an Exchange in Europe. As a member of the European Economic Area, Liechtenstein is also a valid option for trading companies doing business in Europe as it has access to the common market which allows for the free movement of goods, services, and capital. With regard to financial services, Liechtenstein has one of the most sound and stable banking sectors worldwide. The jurisdiction was an oasis of financial stability during the last financial crisis as no bank required aid from public institutions. Liechtenstein banks have more of an appetite for wealth management and holding structures rather than for commercial entities. That being said, there are a few banks providing high-quality corporate transactional banking services including some that deal with companies in the cryptocurrency space. 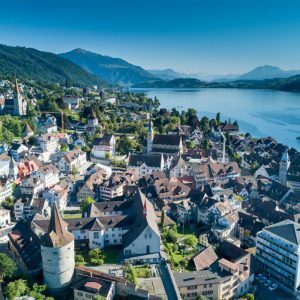 Liechtenstein private foundations and corporations are well-reputed and recognized across the financial services sector. They have access to a broad range of banking options either in the EU, Switzerland or in Asian financial hubs such as Hong Kong and Singapore. Gibraltar was one of the British Overseas Territory that had special membership within the European Union. With the British official EU withdrawal (Brexit) next 30 March 2019, Gibraltar EU membership will cease to exist. It remains to be seen what the real impact Brexit will have on Gibraltar. As of now, regulated entities may lose their passporting rights to the EU. Despite Brexit uncertainty and political tensions with Spain, Gibraltar will still be a jurisdiction to consider for businesses with interests in Europe. Gibraltar has a low-tax regime where income from foreign sources may not be subject to tax and local profits are taxed at 10%. 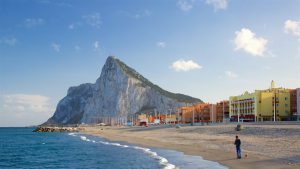 An absence of taxes on capital gains, dividends, and interest paid and received makes Gibraltar an interesting option for either holding and/or trading companies. For international businesses, private limited companies in Gibraltar have worked well either as trading subsidiaries of large international conglomerates and/or as holding companies for multinational groups. A significant number of multinational corporations have leveraged Gibraltar’s regime to distribute competitively priced VAT-free goods and services to Europe and Africa. Regulated entities, such as financial services providers, pay a low 10% tax on their worldwide profits. Companies in the blockchain space with operations on ‘the Rock’ may qualify for a Distributed Ledger Technology Provider License which may provide a greater degree of regulatory certainty and confidence to clients. Gibraltar has also been traditionally an e-gaming hub and accounts for more than a third of the entire online gaming business pie worldwide. With regard to banking, Gibraltar has a relatively small banking sector. Gibraltar private limited companies are usually welcomed by European banks that target international clients. Banks are comfortable dealing with Gibraltar companies due to the fact that they are required to submit financial statements to the authorities which must be audited for medium and large enterprises. Malta is the gateway to the EU for a large number of international businesses that want to establish their headquarters and do business in the European Union. Malta has an advantageous tax regime for holding companies, where dividends received, may be tax-exempt, subject to certain participation conditions. In addition, Malta companies fully benefit from European tax directives. Usually, Malta operating companies are organized as a dual structure – with a holding and subsidiary – to fully benefit from the tax credits and refund system and re-inject capital to the Malta subsidiary operating entity. Although its corporate standard rate is 35%, individuals and corporate shareholders may claim a tax refund for part of the tax paid on the distribution of profits. The tax refund may be either a 6/7 refund for trading income, a 5/7 refund for passive interest income and royalties, or a 2/3 refund for passive income. This may lead to a reduction of corporate taxes and make realized tax rates from 5 to 10 percent, the lowest across the European Union. You can compare tax rates across several legal entity types and jurisdictions using our Incorporations.IO jurisdictional comparison tool. This is not a substitute of tax advice for your specific business and situation but might help you get a better idea of the corporate tax regimes in certain jurisdictions. Malta companies are also used for global e-commerce businesses to leverage the vast amount of payment processing options available across the EU. Malta costs to obtain and administrate licenses are one of the lowest in the European Union and passportable across EU territory. This makes Malta an attractive jurisdiction to establish businesses related to financial services, e-gaming, shipping, airline, investment funds or for companies looking to raise capital. Malta has also been a pioneer enacting a legal framework for cryptocurrency-related companies and is fast becoming the de facto EU blockchain industry hub. With regard to banking, it is becoming increasingly difficult for companies incorporated in Malta to open local bank accounts, especially for companies without EU ownership and a physical presence in Malta. In some cases, it can take months to get a corporate account opened. However, a Malta company may be eligible for banking in a variety of EEA jurisdictions such as Switzerland, Liechtenstein, Czech Republic, Poland, Latvia or Lithuania, to name just a few – and even in Asia, such as Singapore or Hong Kong if the company has some business relationship in those jurisdictions. For small businesses, there are also plenty of challenger banks and electronic money institutions offering current accounts with an easy, quick and remote onboarding process that may fulfill certain start-up banking needs. Companies from the three British Crown Dependencies, Jersey, Guernsey and the Isle of Man, have a 0% tax regime except for businesses conducting financial services and investing in local real estate. They also have an ideal legal environment to set up investment, wealth management, structured financing vehicles, and holding structures. Note that companies in the business of finance, intellectual property, insurance, shipping, equity holdings, and trading with affiliates may be subject to tax residency tests and economic substance requirements – required to have physical presence within the jurisdiction. Guernsey and Jersey investment companies are commonly set up as protected cell companies or incorporated cell companies. Protected cell companies are entities made up of a core and several ring-fenced protected cells. This creates separate portfolios of assets and liabilities which are statutorily segregated and allows one to separate legal liability between cells in addition to providing protection to fund promoters. Incorporated cell companies are similar to protected cell companies but each cell is a separated legal entity. However, these legal entities cannot act independently of the incorporated cell company that created them. For its part, Isle of Man companies are commonly used as holding companies or for private asset management activities. The country has also a relatively large online gaming industry and is also well known for its family trusts for estate planning purposes. 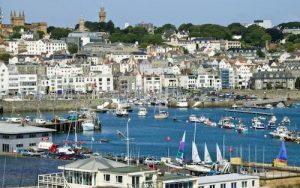 Guernsey, Jersey and Isle of Man also incorporate Foundations as an alternative to Trusts. The three Crown Dependencies have also attracted a few blockchain and crypto-related projects. In the Isle of Man, crypto businesses must register as Designated Businesses with the Isle of Man Financial Supervision Commission and comply with Anti-Money Laundering and Countering Terrorist Financing legislation and the Proceeds of Crime Act 2008. Jersey and Guernsey also require crypto businesses, such as companies doing an ICO, to register with their regulators. With regard to banking, Guernsey, Jersey and the Isle of Man banks are focused on wealth management services and are not generally interested in companies conducting commercial activities. However, corporations set up in the British Crown Dependencies have access to several transactional banking options across Europe and Asia. However, Estonian small companies owned by non-EU residents with no connections within the Baltic region/Europe have struggled to get banking in Estonia. Usually, these companies end up banking in Latvia, Lithuania, Poland and other jurisdictions within the region. 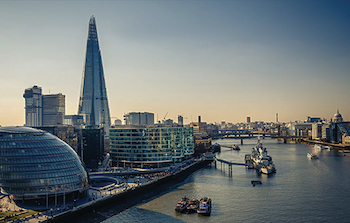 The United Kingdom is one of the worlds largest trade centers and London is the largest financial center worldwide. The most common set up is a limited company incorporated in England and Wales, which is subject to a 19% corporate income tax, a reasonable rate compared with other European jurisdictions. 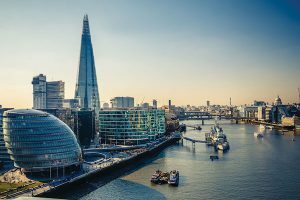 Although the UK may have lost a certain appeal for regulated fintech startups due to Brexit, it remains one of the places to consider for setting up tech startups. The UK has a comprehensive capital market and is one of the best places to obtain financing worldwide. A considerable number of venture capital funds, angel investors and private equity funds are set up in the UK. Limited companies in England and Wales used as holding companies with underlying subsidiaries set up in high-tax jurisdictions can take advantage of the over 100 tax treaties that the UK has concluded. There may be tax-exemptions on capital gains on the sale of shares that fulfills certain conditions and on dividends received from both local and foreign sources. There is no withholding tax on dividends paid to non-residents. However, note that the UK has comprehensive CFC rules which may subject subsidiaries to UK tax, therefore, subsidiaries should be taxable and have economic substance in the jurisdiction of incorporation, preferably a treaty country, in order to not qualify as a CFC. Care should also be taken with regards to the mind and management (economic substance). Another legal entity type commonly used for international businesses is a limited liability partnership (LLP). Like LLP’s or LLCs elsewhere, limited liability partnerships in the UK are tax transparent entities. All profits attributed to the LLP are considered to be transferred to its members and taxed at the personal level. This means that an LLP is not seen as a separate entity for tax purposes and therefore if its members are non-UK tax residents they may only be required to pay taxes in the UK on income sourced from the UK. However, there are certain corporate compliance requirements – including filing financial statements annually and the UK Companies House and Partnership Tax return to the HMRC (Her Majesty Revenue & Customs). Their tax transparent status may make LLPs useful in certain international structures and especially for online businesses. These types of businesses can benefit from the UK’s reputation and access to financial services such as credit card processing without potentially adding any tax liability. However, tax and legal advice should be taken for your specific business and personal circumstances – the proper legal agreements and transfer pricing arrangements should be in place to legally avoid any potential tax liability. In addition, certain countries do not recognize the pass-through status of these entities. If your LLP is considered to be tax resident in one of these jurisdictions it may be treated as a corporation for tax purposes. Note that, unlike US LLCs, LLPs cannot be set up as single-member entities and must have at least two partners. With regard to banking, it is becoming increasingly difficult for smaller limited companies or LLPs not locally owned and managed to obtain traditional banking in the UK. Many of these companies end up banking in other European jurisdictions or using Digital Banking services provided by various UK fintech companies. For medium and large multinational businesses, obtaining banking in the UK is pretty straightforward. As we’ve been discussing during the whole ‘Where to set up an international business’ article series it depends on what your particular needs are, your business activity and purpose of the company, banking, and merchant processing requirements, your suppliers and clients’ location, your tax residency status and more, as to where you eventually want to incorporate. Some jurisdictions may be more suitable than others. For instance, if you are planning to set up a trading company in Europe you may consider Malta, where a dual structure may allow you to enjoy some of the lowest tax rates in the European Union. Malta is also a place to consider for alternative investment and professional funds or fintech and blockchain companies seeking to be regulated. 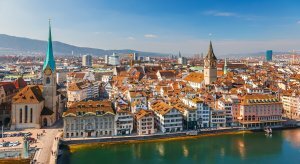 Swiss entities enjoy a considerable low-tax regime, stellar reputation, and access the highest-quality banking. Liechtenstein foundations and AGs are well suited for private wealth management structures and more recently for cryptocurrency and blockchain companies that want to benefit from the light-touch approach taken by the financial services regulator for this industry. For other wealth management and asset holding structuring options, you could look at the Channel Islands or the Isle of Man. If you are looking for a no-tax setup, you could think of Gibraltar. Gibraltar private limited companies may be useful for either holding companies, gambling companies or blockchain companies, among others. For tech startups seeking financing, the UK has one of the most developed capital raising ecosystems. Germany and the Netherlands are also other jurisdictions that a European tech startup may consider. E-commerce companies can use UK LLPs within a group structure to access to high-quality payment processing options without potentially any additional tax liability. 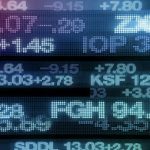 If you are looking at setting up a securities or forex broker-dealer company, Cyprus offers a smooth licensing process with passporting rights across the EU. In addition, companies in Cyprus enjoy a low tax rate of 12.5%. Irish trading companies also enjoy a low 12.5% tax rate and have proven useful for certain international commerce companies, including e-commerce. Companies seeking an Electronic Money Institution or banking license may consider Lithuania to base their operations. 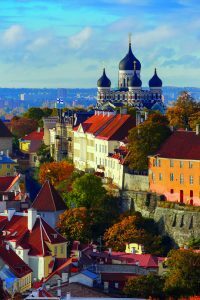 This Baltic country offers some of the most straightforward processes across the EU to be licensed. Dutch companies may be useful in an international structure for certain holdings or to exploit certain IP held abroad as there are no withholding taxes on certain royalties. For its part, Luxembourg companies have been traditionally used as holding companies for large multinational conglomerates, for investment funds and private wealth management companies, which enjoy tax exemptions, or for holding IP as there may be an 80% income tax exemption on income derived from IP assets provided that the IP fulfills nexus requirements – there should be some R&D related expenditure. The bottom line is that there are many potential benefits for multinational businesses by incorporating in the best strategic jurisdiction based on their requirements. Certain jurisdictions are more favorable or provide more benefits for certain type of businesses and purposes. By leveraging these global structuring opportunities you can effectively optimize your business. We have concluded our ‘Where to set up an international business’ article series. Remember that these articles are for illustrative purposes and are not specific advice for your specific situation. It does not pretend to be legal or tax advice, you should always consult with a qualified advisor in the jurisdictions where you operate. If you are operating a multinational business, contact us today – we will help you explore and determine the most suitable structuring options according to your business and personal circumstances. In the meantime, if you wish to compare jurisdictions side by side – you can use our jurisdiction comparison matrix incorporations.io.